First thing to do is print out the template. I always print templates on card stock so they are a bit easier to trace. Regular paper will work fine too. Cut out the eyes, nose and mouth. 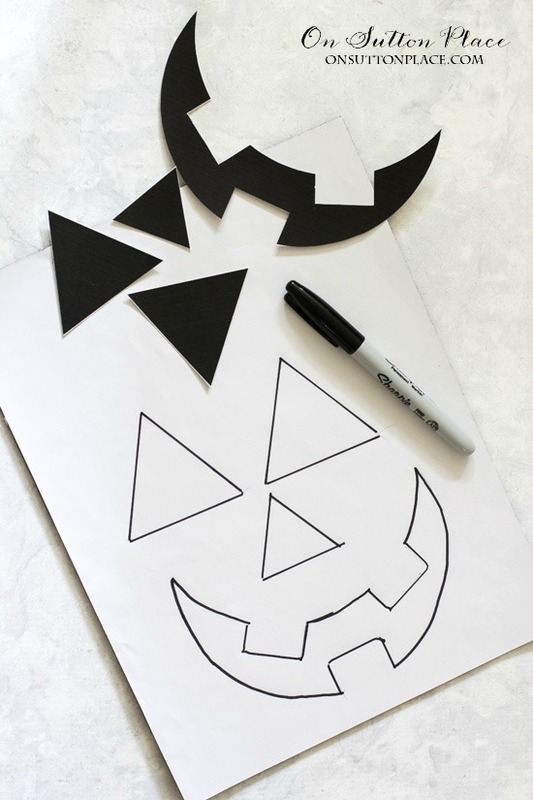 On the back side of your peel and stick felt, trace the face and carefully cut it out. Iron your pillow cover. 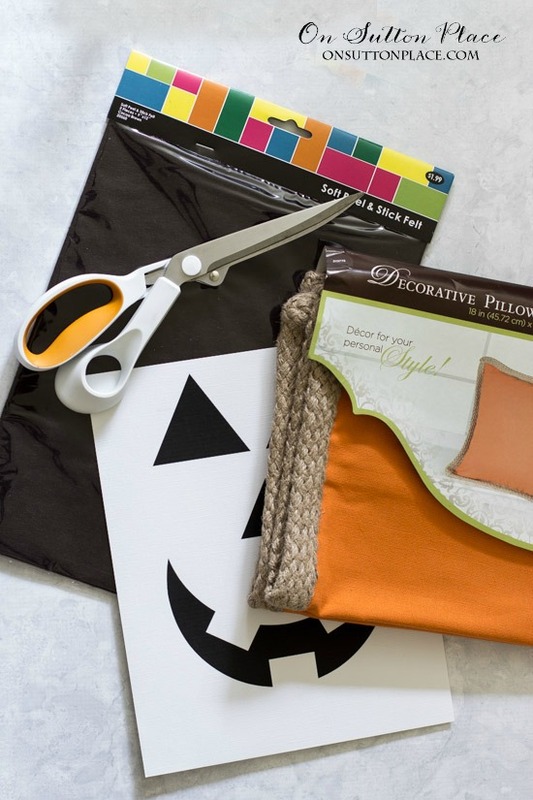 Place the face pieces on the pillow cover to figure out your spacing. One at a time, peel the backing off each piece and press firmly (with your fingers) to the pillow cover. That’s it! I actually love this so much I am going to make another one and use them on my front porch. If you have kids or grandkids it would be a fun project to do with them. It just makes me grin. I thought I would take this opportunity to show you my fresh bittersweet from eBay. It was maybe the prettiest I have ever seen. If you follow me on Facebook, you already have the link. If not, click HERE. There are still a few listings that are ready to ship. When I was editing these pictures it dawned on me that I needed to switch out the September printable for something Halloweenish. 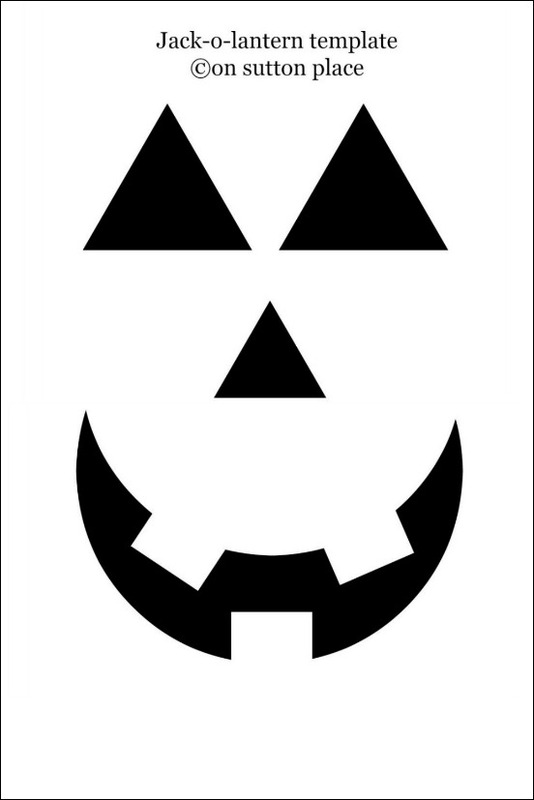 I decided on this Trick or Treat printable from last year. I can see this bookcase from where I sit and work so I am enjoying my view. Festive and fun. If you are on Facebook, I would love for you to join me over there. I share my obsession with Poldark and Downton Abbey along with other bits and pieces that might interest you. 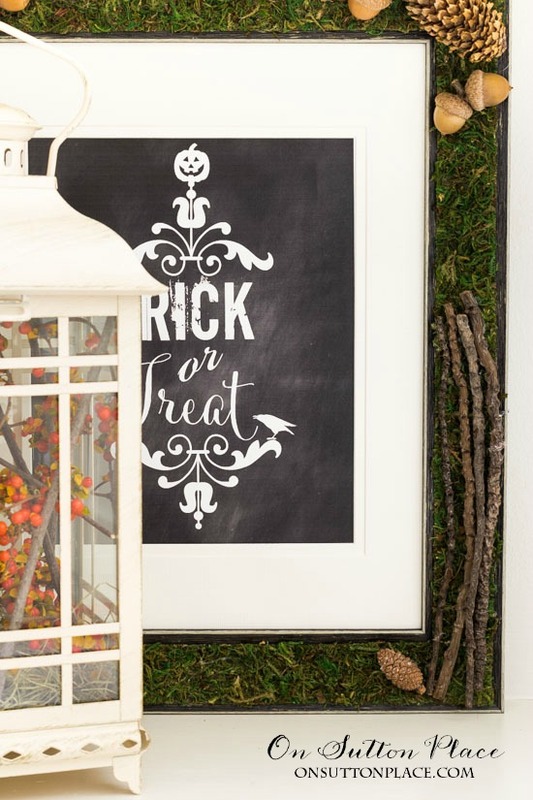 I’ll be back on Tuesday with a round up of 10 more Fall printables. See you then! I must try the pumpkin pillow. Absolutely adorable Ann. Love the pillows. So easy to make and will make a great gift! Oh my gosh these are so adorable:) Ann, you are the best at pillows! I love these!!! 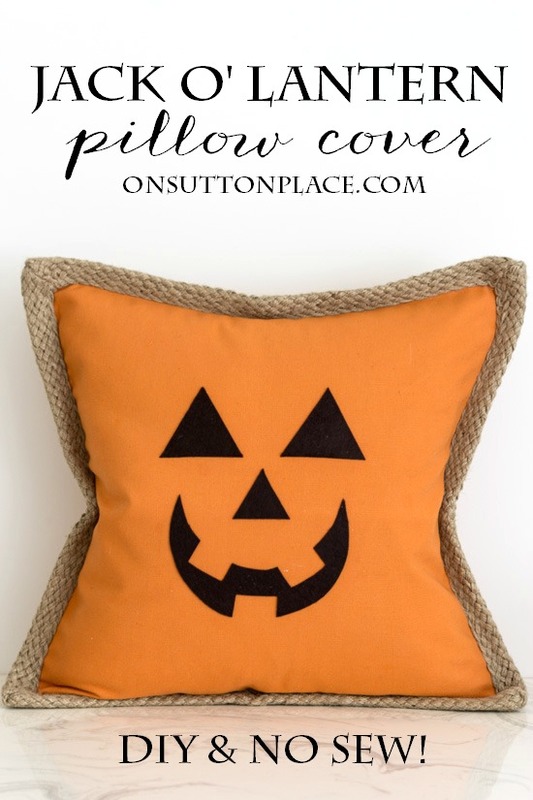 I LOVE this jack o’lantern pillow cover! Can’t wait to make this! and it’s easy which I love! Thanks Ann! Great ‘no sew’ idea! I don’t recognize the slip cover, what am I missing? Maybe Hobby Lobby? Hi Dee! The pillow cover is from Hobby Lobby…link was at the end of the post. 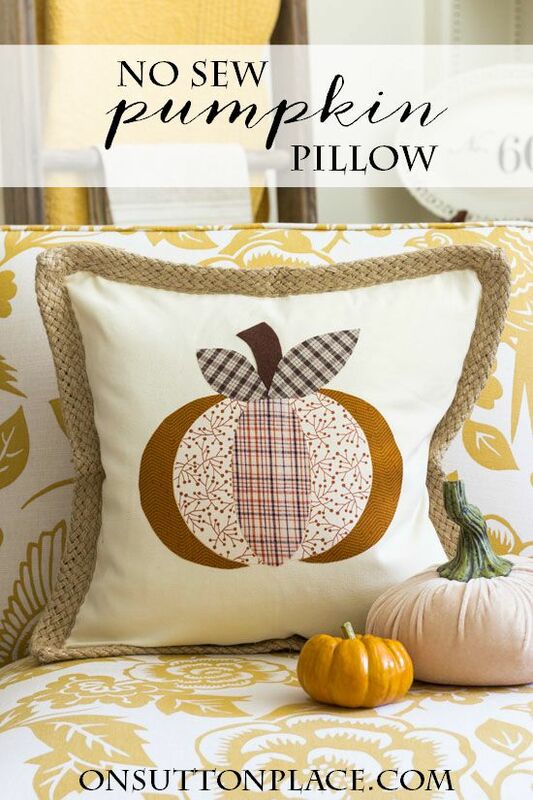 Oh that pumpkin pillow is so cute. Your pillow is adorable. I also love the bittersweet in the white lantern! Thanks for the inspiration. 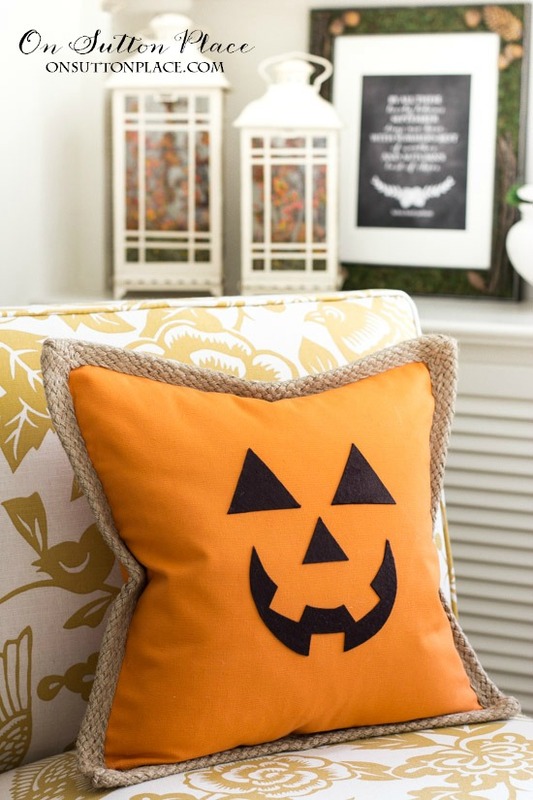 Cute pumpkin pillow. Ive never seen the slip in orange before. I will have to look now. Oh this is the easiest one yet! I already have the pillow covers…and just need the stick on felt and I will be set!! 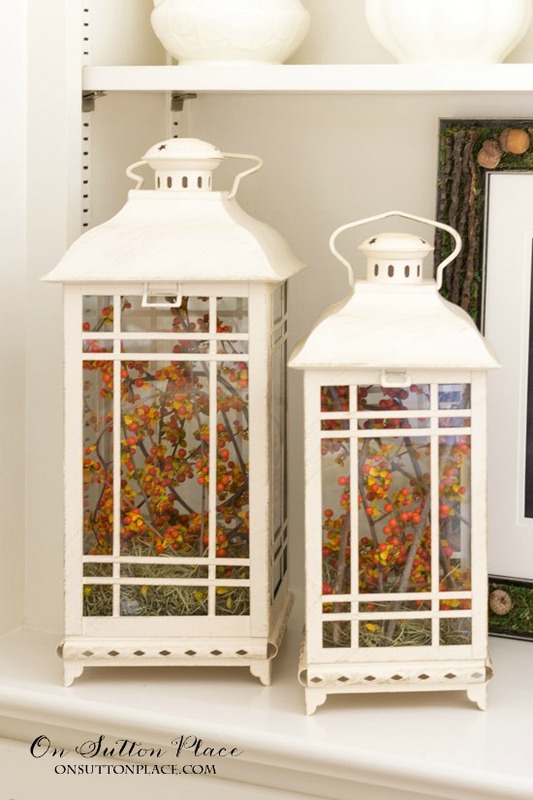 Off to the craft store after church this morning….thanks for an easy addition to my fton porch rockers!! You are on of the classiest homemaker/artist/ decorator I have ever seen. You are a true Inspiration to all of us to freely share your ideas, recipes and decor with you followers. I live in an historic apartment building in York, South Carolina which is literally crumbling around us. You are a bright spot in my day today. Praying for all the folks in SC…it’s really unbelievable how much rain you have…hope you are safe and dry! Debbie my prayers are with you and your family. I hope you are all OK…stay safe. Too simple and oh so cute! Clever! !